Malanico Petfood & supplies is the largest independent distributor of pet food and supplies for pets in the Netherlands and Belgium. We supply chain organisations, online shops, pet shops, garden centres, DYI-businesses and other companies from the industry for almost all pets with a complete range of pet food, health care products, and other supplies. We are the distributor for various A-brands and our product range is broad and deep, with over 6,000 products. We build lasting relations in partnerships. That is the basis for our common objective, namely satisfied customers. You as our customer, but also your own customers, expect optimal service, which we are happy to provide. To achieve this together, we offer our services, knowledge and experience of the market. Would you like to know more about the services we offer? Take a look at the services we offer below, including drop shipment, product range, combination shipments of food and non-food, store layouts, image database, and computerisation. In our broad range of over 6,000 products, Malanico Petfood and supplies offers anything regarding pet food, health care products, and other supplies. Next to many A-brands such as Beaphar, Whiskas, Frontline, Pedigree, and Eukanuba, we also offer a broad range of interesting B-brands. We offer more than 150 brands in total, the overview of which can be seen here. We also offer a very complete frozen products range from various brands, such as Prins, Farm Food, BARFmenu, Duck Food, Energique, and Rodi. We add over 500 new products to the product range every year and around 400 products are updated within the current range. Malanico keeps updating its already wide range to continue to meet the demands of the customer. We send the changes to our product range to our customers every month. It details price changes, new products and all other product changes. Your product and price information will always be up-to-date. We also provide a full monthly overview of all sales promotions of Malanico and our suppliers. This monthly e-mail also informs you of the newest product lines or brands and other news from the industry. Please contact us if you wish to receive this information! Do you own an online shop for pet food and supplies and are you looking for a logistic partner? Malanico Petfood & supplies is the partner for you! 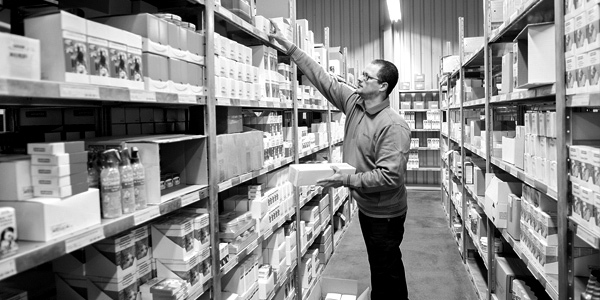 We are dedicated to keeping your inventory stocked in our modern warehouse in Nieuwleusen, and we package and ship the orders directly to the end user. To maintain your own identity and appearance, we also offer the possibility for customer-specific packaging and packing slips. We can also process any returned orders for you. View the brands from our product range here. We are happy to share all knowledge and experience that Malanico has to offer. This includes supporting and advising on the perfect shop layout. Despite the rise of online shops, we are convinced that next to online shops the physical shop will remain when it houses knowledge, specialisation, and experience. This includes a good layout, route, appearance. To provide customers with shelf plans, we work with the programme Retail Shelf Planner. We create shelf plans that ensure an optimal presentation in the store through the optimal layout and locations of different shelves and products. The objective of the shelf plan is to make it easy for consumers to make a purchase or to influence the consumer into buying the product with a higher margin. As retailer, you can yield the best return on the available sales space. Malanico Petfood & supplies has close partnerships with its transporters. One of them is the transport company MDI logistics. 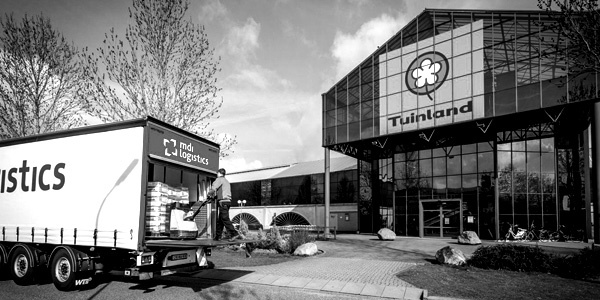 This partnership allows us to deliver multiple days per week in all of the Netherlands and Belgium. MDI logistics also provides the complete distribution in the Netherlands and Belgium for Beeztees, a brand specialised in toys and accessories for pets. The readied shipments are picked up daily from the Beeztees warehouse in Waalwijk, are combined at night with the shipments of Malanico Petfood & supplies, and are delivered in one go the next day. This means the customer receives a combination shipment of food and non-food products. Computerisation is an important link for structuring efficient processes in the whole distribution chain. That is why our systems are completely accessible digitally and we are happy to send digital (EDI) messages to process orders, send packing slips, prepare invoices, and couple your own cash register system or online shop. We possess various data feeds for current product information including an image database with images of our product range. Feel free to ask for the possibilities that we can put together for you.